My PC started to act very slowly about~2 days ago. Applications would take minutes to launch, internet browser tabs would take seconds to open, and etc. I started to troubleshoot why. There were no obvious indicators. 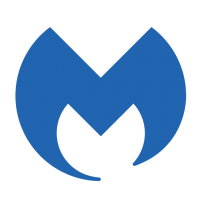 Today I found the culprit, MalwareBytes Malware Protection Service. I know this is the culprit because turning it off makes my computer run normally/smoothly/quickly (i.e. Applications launch instantly as they always have). As this has never happened before, was there a recent patch that could have caused this? Is there a fix patch coming? Or are there other suggestions? While we wait for your logs to get reviewed, what happens if you reboot your computer? It seems its been up for at almost 6 days? Very Odd, I literally rebooted it this morning in an attempt to speed up the PC (prior to switching off the service). 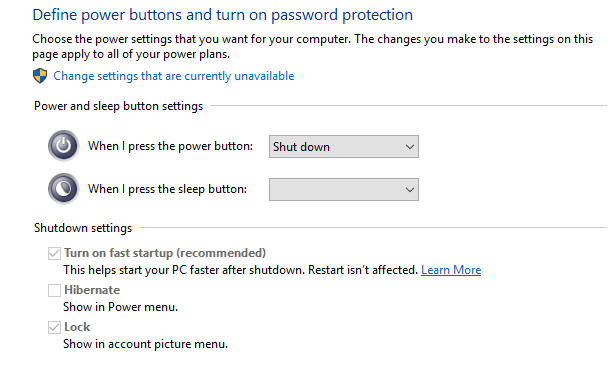 With windows 10, a shut down is not the same as a reboot... a shut down sort of puts in in sleep mode per say, so you need to select reboot from the menu. It may also be worth checking to make certain that Fast Startup is disabled. 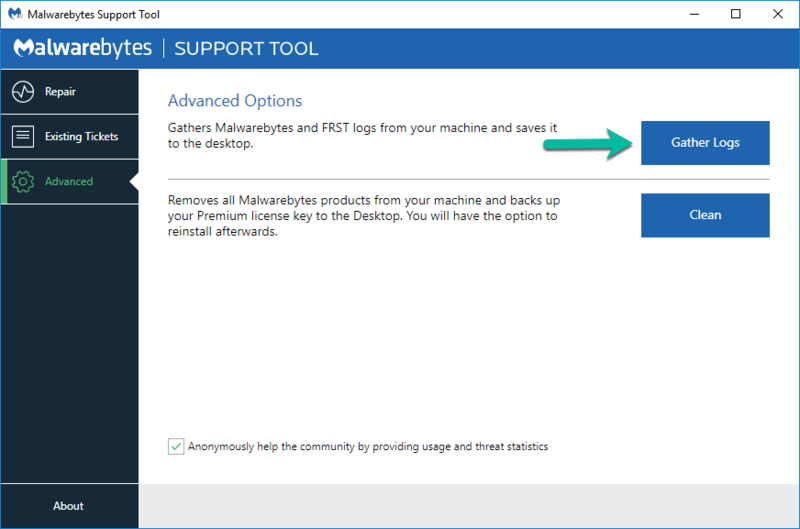 It is on by default in Windows 10 and has been known to cause problems with some programs as well as some hardware/drivers, including Malwarebytes, in the past. 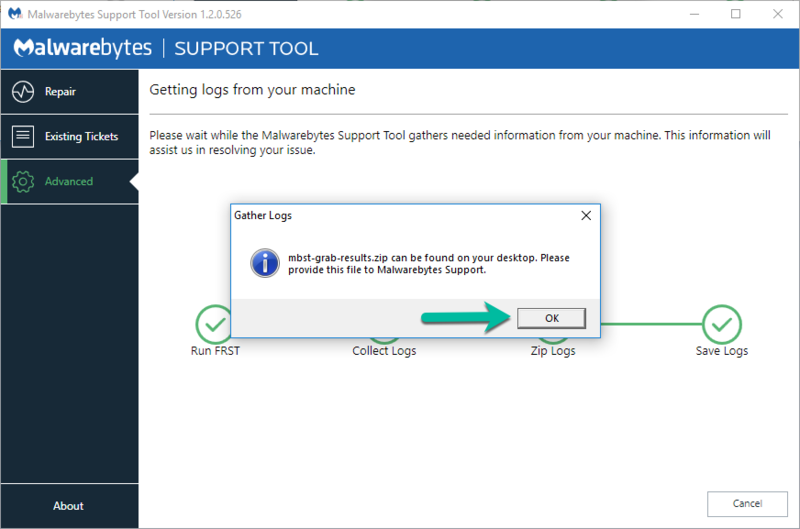 You can find more info, including instructions on how to check and disable it here as well as here. That may not be the cause of the issue, but it is worth a try at least to eliminate it as a possibility. No, actually, according to that image fast startup is turned on (the box next to it is checked and grayed out; likely because you need to click the Change settings that are currently unavailable link at the top with the security/UAC shield next to it to modify it). No, you're not. Honestly there's a reason there are so many tutorials about this feature and how to enable/disable it. It really isn't very clear or easy to find unless you know where to look, and Microsoft enables it by default even though it's a completely new feature known to cause issues with a lot of hardware and software because of how it functions. 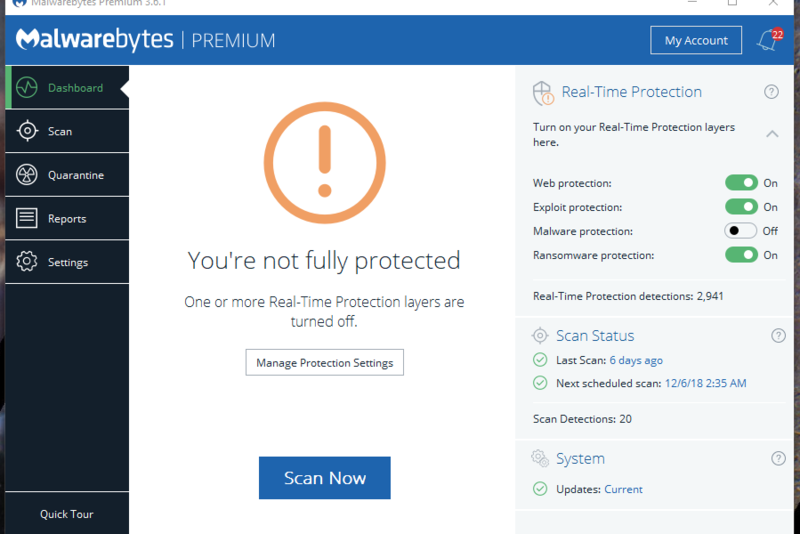 ok... so I did this, and I shut down/started and enabled the malware protection service. Now everything appears to be running smoothly which is crazy and I am having trouble buying this... so I must ask, how do I see if malware-bytes has received an update or no? 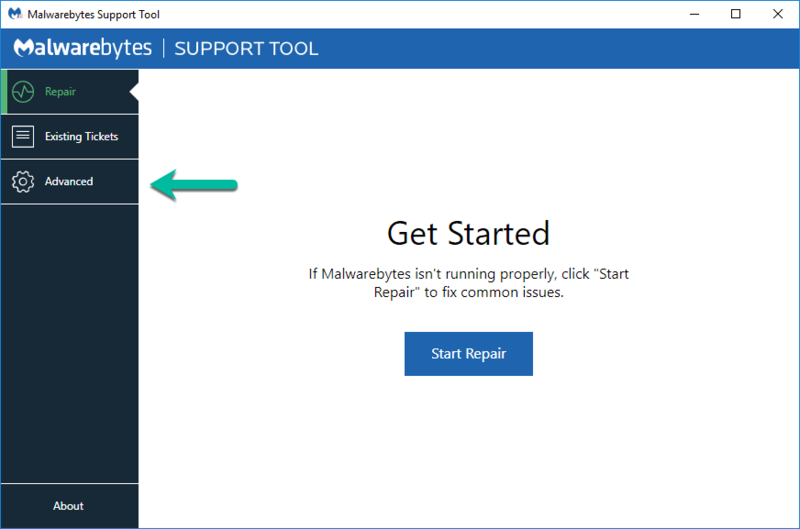 how do I see if malware-bytes has received an update or no? So that may likely be the source of resolution. Anyhow, my issue no longer exists after the update and/or the fast boot correction. Thanks for your help!! Your welcome, glad we could all help... should you have further issues or questions don't hesitate to ask. By the way, just in case you're curious, the issues caused by fast startup range from problems with drivers and services not loading on boot, to program crashes, to registry read/write issues because of how it keeps some components stored in volatile memory while others are unloaded/closed normally, resulting in many programs and components not starting again properly or even at all once the system is woken up/booted again (because they're coded to function under a normal startup process, where they are not expecting other components to already be in memory as though they were never shut down/closed, which is usually where problems with Malwarebytes and other security software and drivers occur due to dependencies between their drivers, services, and startup executables). That said, they did highlight some fixes with protection in the changelog for the new release so it's entirely possible that this is what fixed the issue for you.